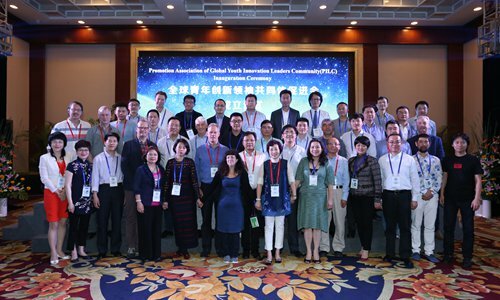 The Promotion Association of Global Youth Innovation Leaders Community (PILC) was established in Chengdu on May 5, 2018. PILC's mission is to develop young creative leaders that exhibit outstanding entrepreneurship, innovation, global vision, social responsibility and consciousness. PILC aims to form a community of young creative leaders on the premise of innovation and sustainable development. Fostering young creative leaders would hinge on the Innovation and Entrepreneurship Prize, communications and meeting platforms. Currently PILC is authorized as the co-organizer for the International track of the Fourth China "Internet+" College Students Innovation and Entrepreneurship Prize sponsored by China's Ministry of Education. As the biggest prize for young innovators and entrepreneurs, last year's event saw 1.5 million participants from 2,241 universities. PILC is also one of the co-organizers for the first "Beijing-Tianjin-Hebei Guangdong-Hong Kong-Macau" (International) Youth Innovation and entrepreneurship Prize sponsored by Tsinghua University. PILC would also co-sponsor more youth innovation and entrepreneurship-related events and exchanges in different regions and fields. At the same time, PILC would also be exploring new models for developing talents, as well as promoting cross-field and advanced fields talent development and training. PILC would be actively engaged in the integration of education, talent, industry and innovation chains. PILC would strive to enhance communication and understanding among different cultures to nurture caring and social consciousness. PILC was launched by the Investment Committee for the Innovation & Entrepreneurship Education Alliance of China, Scientific Chinese Magazine under China Association of Science and Technology, Tencent Inc and China Global MBA Development Forum. PILC President Zeng Fang is also a member of the National Committee of CPPCC. At the opening ceremony, a representative from the Ministry of Education read a congratulatory letter on behalf of the organizing committee of China "Internet+" College Students Innovation and Entrepreneurship Prize. Zeng also issued certificates to the first council members, steering committee members, and members from the China and overseas experts committee. PILC will continue to invite more investors, entrepreneurs, scientists, politicians, entrepreneurs, scientific research institutes and social organizations that share the same values to join. PILC will continue to make contributions to the greater, shared goals of humankind. 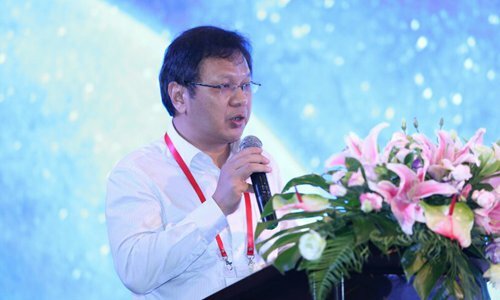 Following its establishment, PILC hosted the International Forum titled "On the Threshold of next Evolution- Exploration and Practices of building up Shared future of Humankind" held at the Chengdu International Exhibition & Convention Center from May 6 to 7. More than 200 representatives from mainland China, Taiwan and Hong Kong, as well as Sweden, Finland, Britain, Spain, Singapore and Malaysia, attended the forum and cultural performances at Sanxingdui.